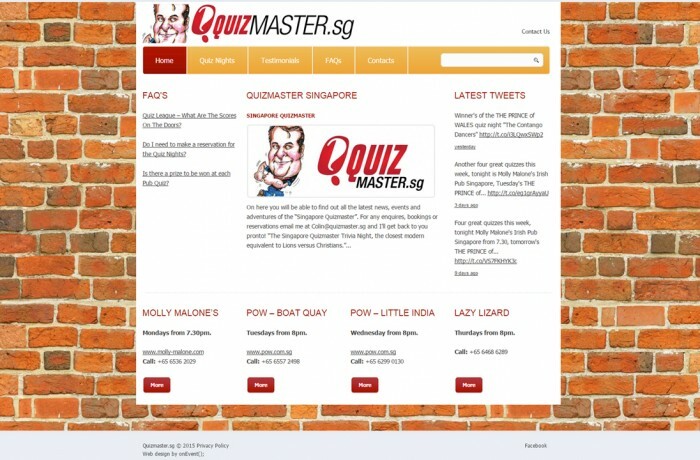 On the Official Singapore Quizmaster website you can get all the latest information, tips and contacts for Pub Quizzes in the Lion City. The Singapore Quizmaster Trivia Night.. the closest modern equivalent to Lions versus Christians. After designing the Quizmaster logo our next task was to develop a punchy little website to highlight the numerous quiz nights and corporate events available from Singapore's very own Quizmaster.